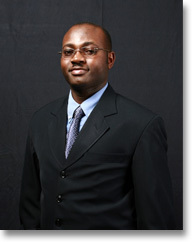 Tumusiime Kabwende Deo is a bilingual speaker of Runyankole and English. Born in 1979 in Mbarara, Western Uganda, he lives in Kampala where he works as an independent media consultant, human rights activist and journalist, with a special interest in the effects of public policies on the individual. In 2007, he co-authored Defending human rights: a resource book for human rights defenders, published by the Kampala-based organisation, East and Horn of Africa Human Rights Defenders Project. Between 2005 and 2008, as press officer for this organisation, he researched and compiled country-profiles within the sub-region, with regard to the situations of human rights defenders (http://www.defenddefenders.org/), and co-edited reports, including ‘Journalists at the frontline of human rights defence’ and ‘Defending the defenders – a human rights defenders conference’. In 2008, he was a note-taker at the conference on Small Arms and Light Weapons, organised by the USA-based Africa Centre for Strategic Studies, and wrote the ‘Annual Report’ for the African Field Epidemiology Network. He has worked as correspondent for The Observer, news anchor for former Radio Uganda (now UBC), news editor for the WestNiler newspaper and operations manager for WBS Television. As a commentator on contemporary African and international issues in both printed media and on the www, he writes regularly for the Daily Monitor, the New Vision and Africa Files. He graduated from the Uganda Christian University, Mukono, with a BA in Mass Communication and Public Relations in 2004.